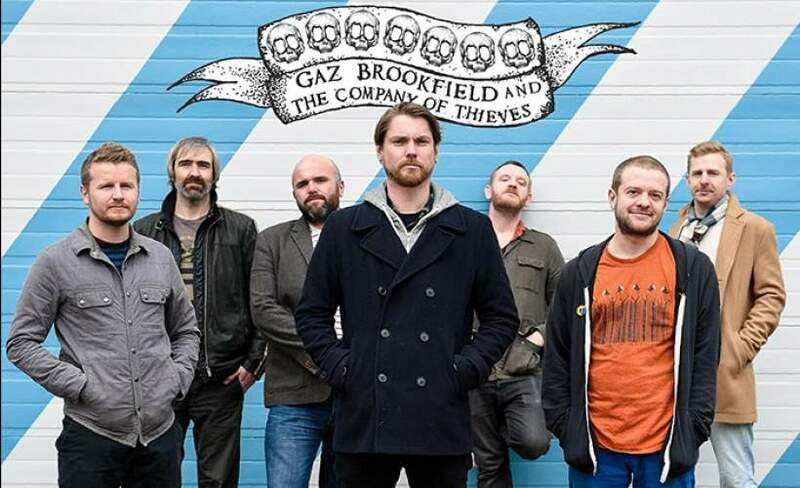 Gaz Brookfield and the Company of Thieves never fail to blow me away, support from Nick Parker with Ben Wain and Chris Webb was top drawer too. I love Bodega but when it’s full the air con doesn’t seem to cope and it can be difficult to get around - I do think an artist the calibration of Gaz would’ve merited a spot at The Rescue Rooms, but a minor quibble. Sound and lights were excellent too. A memorable evening! Venue was great, all the performers were brilliant, and it was great to see Gaz with the support of a full band and how that made his performance even more vibrant than usual! Crackin gig. Love Gaz's energy. Lovely crowd, as expected at Gaz's gigs. Bring more merch next time, ya donut. I enjoyed this gig so much I kept dreaming I was still there. Hubby said I had been singing in my sleep. Gaz Brookfield was just awesome! The venue was fantastic, the atmosphere was buzzing, the support acts were brilliant! I just loved it! Gaz Brookfield is one of the best performers, singer songwriter we have in the UK! Brilliant! All three performances at the gig were fantastic, perfect venue, reasonably priced drinks too. a great night!